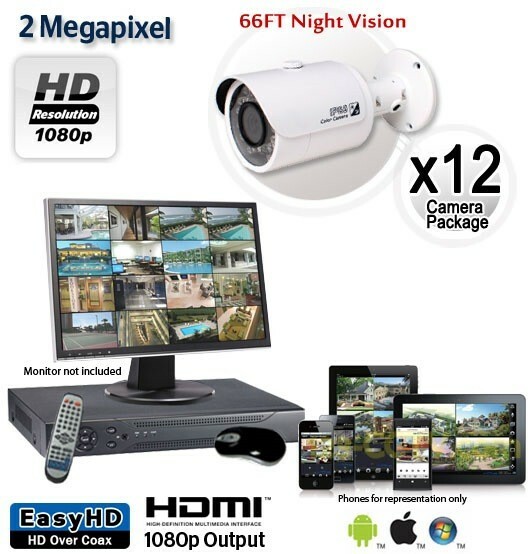 This 12 bullet camera HD surveillance system provides amazing 2 megapixel video that is Full HD 1080p resolution for each camera. 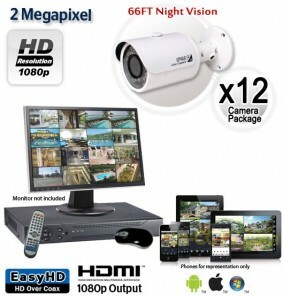 The cameras and HD DVR recorder in this system record Real Time in crisp and clear high definition 1080p (1920x1080 pixels), and the cameras offer 66ft of night vision in complete darkness. 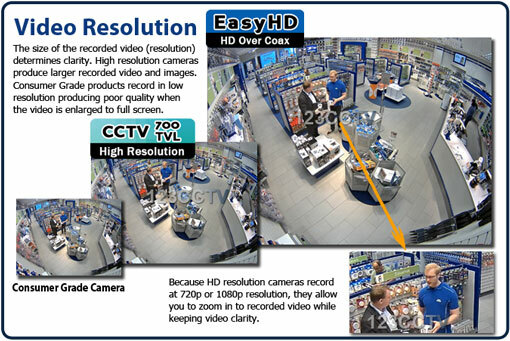 The cameras have a 3.6mm fixed lens that provides 80° angle of view. The vandal resistant bracket on the camera allows the pigtail of the camera to pass through and protect it from anyone trying to cut the camera’s cable.